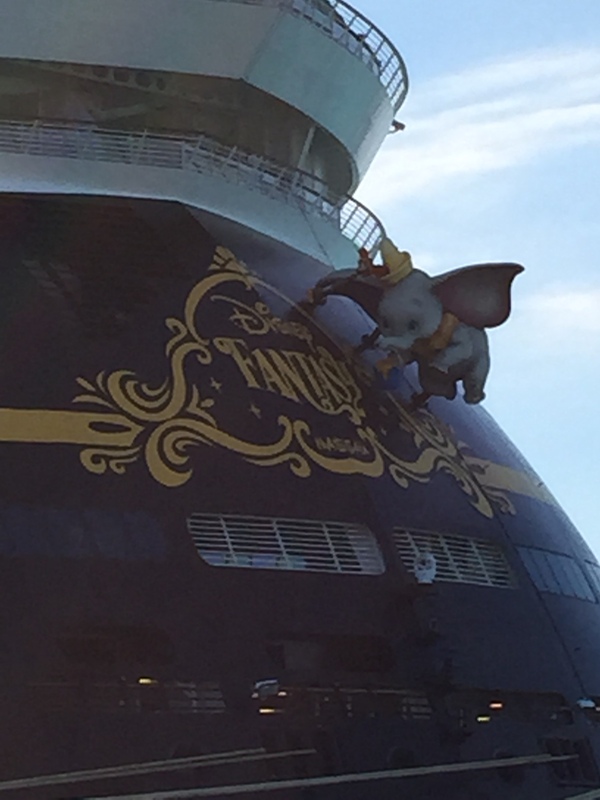 I recently retuned from a cruise along the Caribbean on the Disney Fantasy. Eight days off the grid—no internet or cellular connection—is a vacation in and of itself. One of the best activities during this time was lounging in a wicker chair with an unobstructed view of the ocean. I read 2.5 books of the 3 paperbacks I brought for the trip. 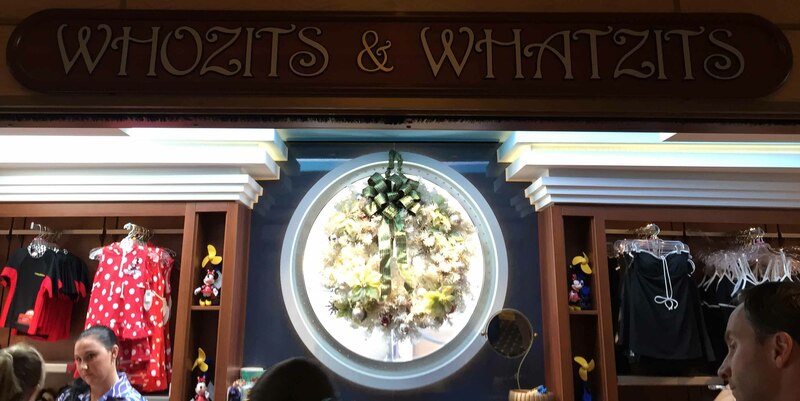 It was reassuring to know that if I’d run out of books to read or the ship got delayed at sea, there were more books to be had on Deck 11, Midship at Whozit’s & Whatzit’s. Normally this particular “bookstore” would not make my destinations to visit, and write about. But everything is relative to where you are. A ship at sea has only so many places you can go. One person’s swim store is another’s bookshop. On first view, the store provides all things for the beach and pool experience—towels, swimsuits, sunscreen, goggles, and more. Everything is efficiently crammed into a space that is approximately 20 feet by 6 feet. The single carousel with books and magazines blends into one corner of the store, almost unseen by passersby. The bottom shelves hold popular magazines, while the top shelves showcase novels. Most are romance novels, followed by a small selection of mystery/thrillers. Unfortunately, no fantasy or science fiction was available. One carousel of reading material may seem limited, but when you’re on vacation, off the grid, the choices simply contain treasures to explore that you might otherwise not make the time for. On a cruise, time to do nothing is a wonderful opportunity to try out a new novel that you might otherwise ignore. 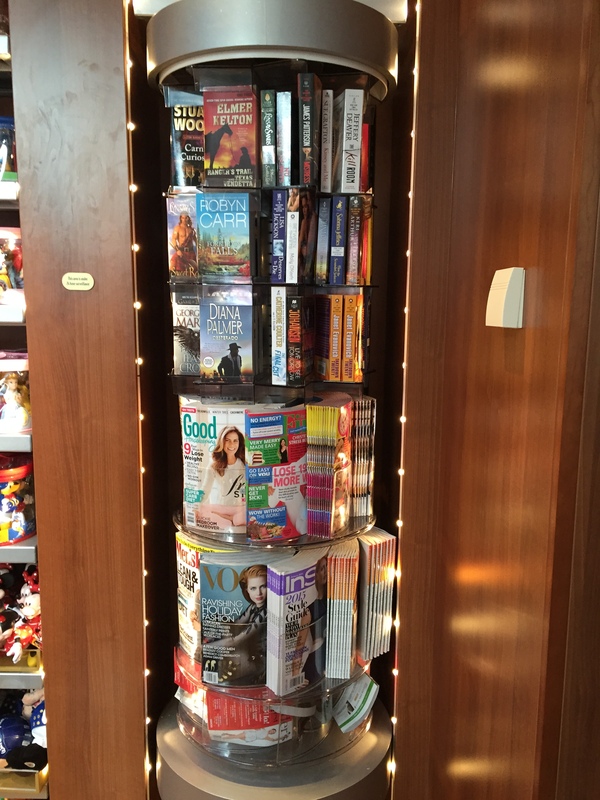 If you’ve gone on a cruise, what was your reading experience like? Which ship did you take, and where did you go? Did you bring books or ebooks? For those of you, my wonderful readers, who have not gone on a cruise, it’s time to experience the amazing time of doing nothing—and read. 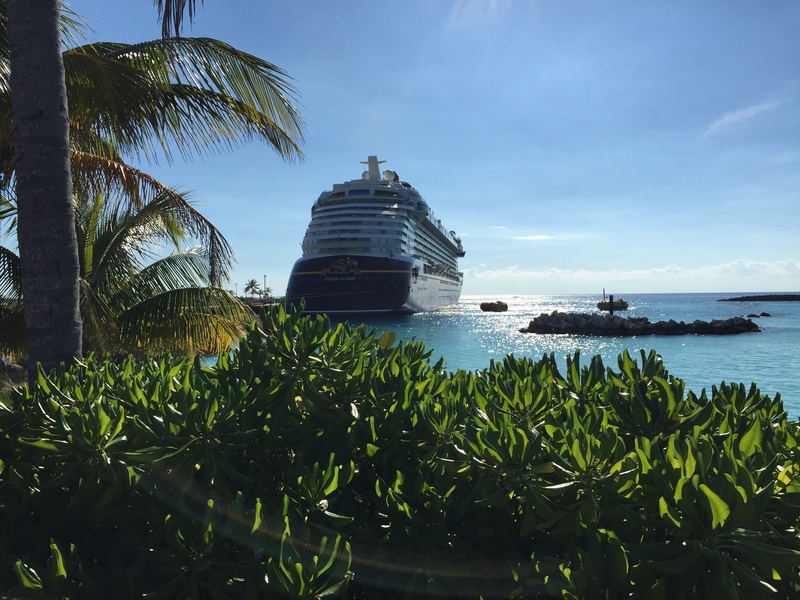 I went on a cruise with Royal Caribbean cruise line on we cruised the Western Caribbean islands. I took the Stephen King novel titled 11/22/64. It’s one of his thicker novels and it lasted the entire 7 days of the cruise. It was great the book as a fall back when the ship activities slowed down. I’ve only been on one cruise and I remember being so in to all the new experiences it brought that I didn’t get much reading done. I’m sure that will be much different if I ever go on a cruise again. Nice to know that I might be able to find something different to try if I should run out of reading material! It’s also a place for writing.